On World Day Against Cyber Censorship: Continued Censorship in Bahrain, freedom of Speech Alert! On World Day Against Cyber Censorship, Bahrain continues its violations and repressive measurements against netizens and internet freedom, with help of western technologies. Amid last year events, many websites were reported blocked due to reporting casualties among the protestors and uploading photos and videos of peaceful protests being brutally attacked by forces. Website administrators were arrested and tortured. In 2012, more websites are being blocked for covering political events in Bahrain. Witnessbahrain.org - a group of international observers, primarily from the United States who launched the website in Feb 2012 to monitor and report human right abuses and suppression on the events of the one-year anniversary of the Bahraini pro-democracy uprising on the ground- had been blocked in Bahrain after one day of its launch. On Feb 4, 2012 the live streaming website live973.info/live.php?ch=1 and audio live streaming website mixlr.com/wefaqlive which were broadcasting a mass rally of opposition groups were blocked hours after the start of the rally. They add to the list of popular live streaming websites which are all blocked since the last year: bambuser.com, ustream.tv, justin.tv, twitcasting.tv and twitcam.livestream.com. The iphone/ipad app of the website Live Station which broadcasts multiple tv channels including the Bahraini opposition’s channel “LuaLua Tv” has been blocked (cannot connect) since 7 Feb 2012. According to published reports, American technologies are being used by the Bahraini regime to block the internet . 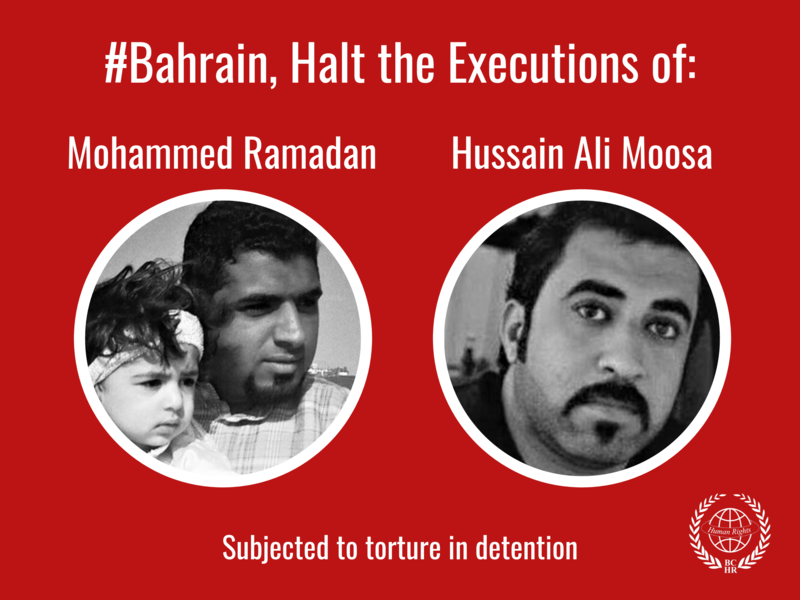 While freedom of speech is at high risk in Bahrain after last year’s crackdown, bloggers are still targeted with arrest and detention; to name a few, Zainab Al Khawaja who was brutally arrested in Dec 2011 and again in Feb 2012, is currently standing trial, Hassan Al Jaber and Naji Fateel who are in detention waiting for their trial, Ali Abdulemam who was sentenced by a military court to 15 years and his whereabouts are still unknown, and Abduljalil Al Singace who was given a life sentence, also by a military court and was reportedly tortured in detention . One netizen, Zakariya AlAsheeri, an online forum administrator, died in prison under torture April 2011. One year has passed but those responsible for the torture are still enjoying impunity, as the military court has acquitted the guards responsible for torturing AlAsheeri, and they are currently going through a show trial at the civil court. The government of Bahrain announced that it has dropped charges against Free Speech. However, there are continued trials and arrests on a daily basis against Free Speech in Bahrain. 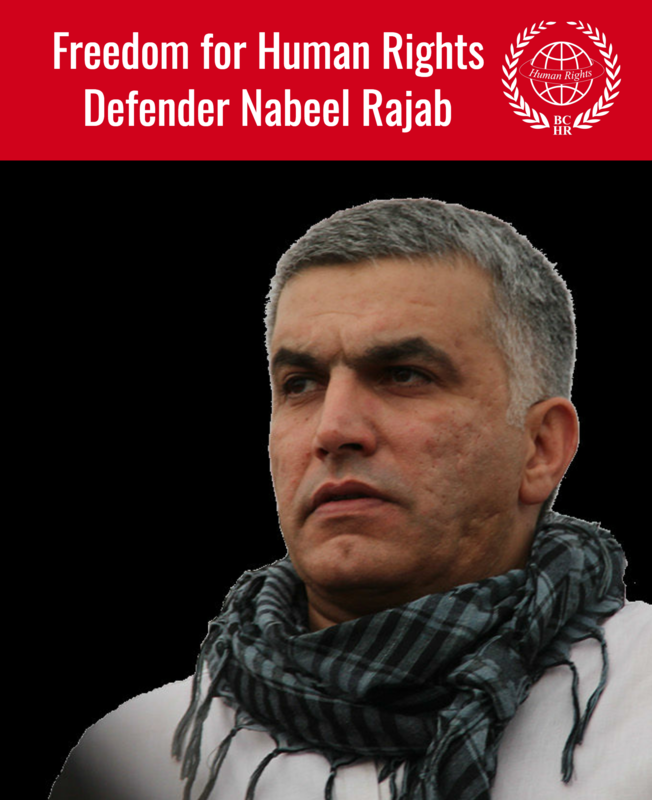 Nabeel Rajab, President of the Bahrain Center for Human Rights was charged for “indicting protests using twitter” after he was arrested and detained for around eight hours on Feb 14, 2012. This was not the first time he is interrogated regarding his online tweets. The Bahrain center for Human Rights expresses its concerns over the deteriorating level of internet freedom and increased censorship, which contradicts Bahrain's commitments as a member in the Human Rights Council and as a party to the International Covenant on Civil and Political Rights (ICCPR). In particular, Article 19 of the ICCPR states that "Everyone shall have the right to freedom of expression; this right shall include freedom to seek, receive and impart information and ideas of all kinds, regardless of frontiers, either orally, in writing or in print, in the form of art, or through any other media of his choice." The Bahrain Center for Human Rights believes that, in light of the accelerated evolution of technology, it has become difficult for governments to block all websites completely, but by insisting on the policy of censorship, it strengthens its position in the black lists of authoritarian and undemocratic countries. BCHR also expresses its concern regarding the western companies which continue to supply the government of Bahrain with censorship technologies, despite its worsening record of human rights and the severe level of violations to freedom of expression. - Immediate cessation of the prosecution of all internet activists and bloggers and the release of all those detained immediately. - To put on trial, before an independent and impartial judicial authority, all those accused of torturing detainees as well as those who ordered and authorized such acts. - Lift the ban on all public websites which encourage cultural dialogue, social and human rights, as well as social and religious expression. - Cancel all measures that would restrict freedom of opinion and expression, or prevent the transmission of information. - Fulfill its international commitments and respect all forms of freedom of expression which are a part of international covenants and treaties. BCHR extend calls to the governments of the United States and the European Union to stop the sale of surveillance technologies to Bahrain. Export controls should target specific technologies, such as content filters and spyware, which serve the primary purpose of limiting flows of online information or monitoring private digital communications.